Not to be confused with the quarterly journal History of Education: Journal of the History of Education Society. Starting in about 3500 B.C., various writing systems developed in ancient civilizations around the world. In Egypt fully developed hieroglyphs were in use at Abydos as early as 3400 B.C. The oldest known alphabet was developed in central Egypt around 2000 B.C. from a hieroglyphic prototype. One hieroglyphic script was used on stone monuments, other cursive scripts were used for writing in ink on papyrus, a flexible, paper-like material, made from the stems of reeds that grow in marshes and beside rivers such as the River Nile. Of several pre-Columbian scripts in Mesoamerica, the one that appears to have been best developed, and the one to be deciphered the most, is the Maya script. The earliest inscriptions which are identifiably Maya date to the 3rd century B.C., and writing was in continuous use until shortly after the arrival of the Spanish conquistadores in the 16th century. In Chinese civilization, in school the children were not allowed to scribble. They were not to write slanted or sloppy characters. Other surfaces used for early writing include wax-covered writing boards (used, as well as clay tablets, by the Assyrians), sheets or strips of bark from trees (in Indonesia, Tibet and the Americas), the thick palm-like leaves of a particular tree, the leaves then punctured with a hole and stacked together like the pages of a book (these writings in India and South east Asia include Buddhist scriptures and Sanskrit literature), parchment, made of goatskin that had been soaked and scraped to remove hair, which was used from at least the 2nd century B.C., vellum, made from calfskin, and wax tablets which could be wiped clean to provide a fresh surface (in the Roman times). Perhaps the earliest formal school was developed in Egypt's Middle Kingdom under the direction of Kheti, treasurer to Mentuhotep II . In what became Mesopotamia, the early logographic system of cuneiform script took many years to master. Thus only a limited number of individuals were hired as scribes to be trained in its reading and writing. Only royal offspring and sons of the rich and professionals such as scribes, physicians, and temple administrators, were schooled. Most boys were taught their father's trade or were apprenticed to learn a trade. Girls stayed at home with their mothers to learn housekeeping and cooking, and to look after the younger children. Later, when a syllabic script became more widespread, more of the Mesopotamian population became literate. Later still in Babylonian times there were libraries in most towns and temples; an old Sumerian proverb averred that "he who would excel in the school of the scribes must rise with the dawn." There arose a whole social class of scribes, mostly employed in agriculture, but some as personal secretaries or lawyers. Women as well as men learned to read and write, and for the Semitic Babylonians, this involved knowledge of the extinct Sumerian language, and a complicated and extensive syllabary. Vocabularies, grammars, and interlinear translations were compiled for the use of students, as well as commentaries on the older texts and explanations of obscure words and phrases. Massive archives of texts were recovered from the archaeological contexts of Old Babylonian scribal schools, through which literacy was disseminated. The Epic of Gilgamesh, an epic poem from Ancient Mesopotamia is among the earliest known works of literary fiction. The earliest Sumerian versions of the epic date from as early as the Third Dynasty of Ur (2150-2000 BC) (Dalley 1989: 41-42). Ashurbanipal (685 – c. 627 BC), a king of the Neo-Assyrian Empire, was proud of his scribal education. His youthful scholarly pursuits included oil divination, mathematics, reading and writing as well as the usual horsemanship, hunting, chariotry, soldierliness, craftsmanship, and royal decorum. During his reign he collected cuneiform texts from all over Mesopotamia, and especially Babylonia, in the library in Nineveh, the first systematically organized library in the ancient Middle East, which survives in part today. In ancient Egypt, literacy was concentrated among an educated elite of scribes. Only people from certain backgrounds were allowed to train to become scribes, in the service of temple, pharaonic, and military authorities. The hieroglyph system was always difficult to learn, but in later centuries was purposely made even more so, as this preserved the scribes' status. The rate of literacy in Pharaonic Egypt during most periods from the third to first millennium BC has been estimated at not more than one percent, or between one half of one percent and one percent. In ancient Israel, the Torah (the fundamental religious text) includes commands to read, learn, teach and write the Torah, thus requiring literacy and study. In 64 AD the high priest caused schools to be opened. Emphasis was placed on developing good memory skills in addition to comprehension oral repetition. For details of the subjects taught, see History of education in ancient Israel and Judah. Although girls were not provided with formal education in the yeshivah, they were required to know a large part of the subject areas to prepare them to maintain the home after marriage, and to educate the children before the age of seven. Despite this schooling system, it would seem that many children did not learn to read and write, because it has been estimated that "at least ninety percent of the Jewish population of Roman Palestine [in the first centuries AD] could merely write their own name or not write and read at all", or that the literacy rate was about 3 percent. The oldest of the Upanishads – another part of Hindu scriptures – date from around 500 BC. These texts encouraged an exploratory learning process where teachers and students were co-travellers in a search for truth. The teaching methods used reasoning and questioning. Nothing was labeled as the final answer. Two epic poems formed part of ancient Indian education. The Mahabharata, part of which may date back to the 8th century BC, discusses human goals (purpose, pleasure, duty, and liberation), attempting to explain the relationship of the individual to society and the world (the nature of the 'Self') and the workings of karma. The other epic poem, Ramayana, is shorter, although it has 24,000 verses. It is thought to have been compiled between about 400 BC and 200 AD. The epic explores themes of human existence and the concept of dharma. During the Han dynasty (206 BC – 221 AD), boys were thought ready at age seven to start learning basic skills in reading, writing and calculation. In 124 BC, the Emperor Wudi established the Imperial Academy, the curriculum of which was the Five Classics of Confucius. By the end of the Han dynasty (220 AD) the academy enrolled more than 30,000 students, boys between the ages of fourteen and seventeen years. However education through this period was a luxury. In the city-states of ancient Greece, most education was private, except in Sparta. For example, in Athens, during the 5th and 4th century BC, aside from two years military training, the state played little part in schooling. Anyone could open a school and decide the curriculum. Parents could choose a school offering the subjects they wanted their children to learn, at a monthly fee they could afford. Most parents, even the poor, sent their sons to schools for at least a few years, and if they could afford it from around the age of seven until fourteen, learning gymnastics (including athletics, sport and wrestling), music (including poetry, drama and history) and literacy. Girls rarely received formal education. At writing school, the youngest students learned the alphabet by song, then later by copying the shapes of letters with a stylus on a waxed wooden tablet. After some schooling, the sons of poor or middle-class families often learnt a trade by apprenticeship, whether with their father or another tradesman. By around 350 BC, it was common for children at schools in Athens to also study various arts such as drawing, painting, and sculpture. The richest students continued their education by studying with sophists, from whom they could learn subjects such as rhetoric, mathematics, geography, natural history, politics, and logic. Some of Athens' greatest schools of higher education included the Lyceum (the so-called Peripatetic school founded by Aristotle of Stageira) and the Platonic Academy (founded by Plato of Athens). The education system of the wealthy ancient Greeks is also called Paideia. In the subsequent Roman empire, Greek was the primary language of science. Advanced scientific research and teaching was mainly carried on in the Hellenistic side of the Roman empire, in Greek. The first schools in Ancient Rome arose by the middle of the 4th century BC. These schools were concerned with the basic socialization and rudimentary education of young Roman children. The literacy rate in the 3rd century BC has been estimated as around one percent to two percent. There are very few primary sources or accounts of Roman educational process until the 2nd century BC, during which there was a proliferation of private schools in Rome. At the height of the Roman Republic and later the Roman Empire, the Roman educational system gradually found its final form. Formal schools were established, which served paying students (very little in the way of free public education as we know it can be found). Normally, both boys and girls were educated, though not necessarily together. In a system much like the one that predominates in the modern world, the Roman education system that developed arranged schools in tiers. The educator Quintilian recognized the importance of starting education as early as possible, noting that "memory … not only exists even in small children, but is specially retentive at that age". A Roman student would progress through schools just as a student today might go from elementary school to middle school, then to high school, and finally college. Progression depended more on ability than age with great emphasis being placed upon a student's ingenium or inborn "gift" for learning, and a more tacit emphasis on a student's ability to afford high-level education. Only the Roman elite would expect a complete formal education. A tradesman or farmer would expect to pick up most of his vocational skills on the job. Higher education in Rome was more of a status symbol than a practical concern. During the Early Middle Ages, the monasteries of the Roman Catholic Church were the centers of education and literacy, preserving the Church's selection from Latin learning and maintaining the art of writing. Prior to their formal establishment, many medieval universities were run for hundreds of years as Christian monastic schools (Scholae monasticae), in which monks taught classes, and later as cathedral schools; evidence of these immediate forerunners of the later university at many places dates back to the early 6th century. 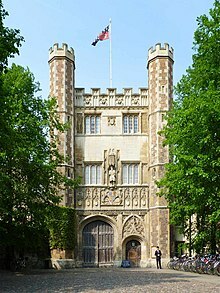 The first medieval institutions generally considered to be universities were established in Italy, Spain, France, and England in the late 11th and the 12th centuries for the study of arts, law, medicine, and theology. These universities evolved from much older Christian cathedral schools and monastic schools, and it is difficult to define the date on which they became true universities, although the lists of studia generalia for higher education in Europe held by the Vatican are a useful guide. Ireland became known as the island of saints and scholars. Monasteries were built all over Ireland, and these became centres of great learning (see Celtic Church). Northumbria was famed as a centre of religious learning and arts. Initially the kingdom was evangelized by monks from the Celtic Church, which led to a flowering of monastic life, and Northumbria played an important role in the formation of Insular art, a unique style combining Anglo-Saxon, Celtic, Byzantine and other elements. After the Synod of Whitby in 664 AD, Roman church practices officially replaced the Celtic ones but the influence of the Anglo-Celtic style continued, the most famous examples of this being the Lindisfarne Gospels. The Venerable Bede (673–735) wrote his Historia ecclesiastica gentis Anglorum (Ecclesiastical History of the English People, completed in 731) in a Northumbrian monastery, and much of it focuses on the kingdom. During the reign of Charlemagne, King of the Franks from 768 to 814 AD, whose empire united most of Western Europe for the first time since the Romans, there was a flowering of literature, art, and architecture known as the Carolingian Renaissance. Brought into contact with the culture and learning of other countries through his vast conquests, Charlemagne greatly increased the provision of monastic schools and scriptoria (centres for book-copying) in Francia. Most of the surviving works of classical Latin were copied and preserved by Carolingian scholars. During the 6th and 7th centuries, the Academy of Gundishapur, originally the intellectual center of the Sassanid empire and subsequently a Muslim centre of learning, offered training in medicine, philosophy, theology and science. The faculty were versed not only in the Zoroastrian and Persian traditions, but in Greek and Indian learning as well. The University of al-Qarawiyyin located in Fes, Morocco is the oldest existing, continually operating and the first degree awarding educational institution in the world according to UNESCO and Guinness World Records and is sometimes referred to as the oldest university. The House of Wisdom in Baghdad was a library, translation and educational centre from the 9th to 13th centuries. Works on astrology, mathematics, agriculture, medicine, and philosophy were translated. Drawing on Persian, Indian and Greek texts—including those of Pythagoras, Plato, Aristotle, Hippocrates, Euclid, Plotinus, Galen, Sushruta, Charaka, Aryabhata and Brahmagupta—the scholars accumulated a great collection of knowledge in the world, and built on it through their own discoveries. The House was an unrivalled centre for the study of humanities and for sciences, including mathematics, astronomy, medicine, chemistry, zoology and geography. Baghdad was known as the world's richest city and centre for intellectual development of the time, and had a population of over a million, the largest in its time. The Islamic mosque school (Madrasah) taught the Quran in Arabic and did not at all resemble the medieval European universities. In the 9th century, Bimaristan medical schools were formed in the medieval Islamic world, where medical diplomas were issued to students of Islamic medicine who were qualified to be a practicing Doctor of Medicine. Al-Azhar University, founded in Cairo, Egypt in 975, was a Jami'ah ("university" in Arabic) which offered a variety of post-graduate degrees, had a Madrasah and theological seminary, and taught Islamic law, Islamic jurisprudence, Arabic grammar, Islamic astronomy, early Islamic philosophy and logic in Islamic philosophy. Under the Ottoman Empire, the towns of Bursa and Edirne became major centers of learning. In the 15th and 16th centuries, the town of Timbuktu in the West African nation of Mali became an Islamic centre of learning with students coming from as far away as the Middle East. The town was home to the prestigious Sankore University and other madrasas. The primary focus of these schools was the teaching of the Qur'an, although broader instruction in fields such as logic, astronomy, and history also took place. Over time, there was a great accumulation of manuscripts in the area and an estimated 100,000 or more manuscripts, some of them dated from pre-Islamic times and 12th century, are kept by the great families from the town. Their contents are didactic, especially in the subjects of astronomy, music, and botany. More than 18,000 manuscripts have been collected by the Ahmed Baba centre. Although there are more than 40,000 Chinese characters in written Chinese, many are rarely used. Studies have shown that full literacy in the Chinese language requires a knowledge of only between three and four thousand characters. In China, three oral texts were used to teach children by rote memorization the written characters of their language and the basics of Confucian thought. The Thousand Character Classic, a Chinese poem originating in the 6th century, was used for more than a millennium as a primer for teaching Chinese characters to children. The poem is composed of 250 phrases of four characters each, thus containing exactly one thousand unique characters, and was sung in the same way that children learning the Latin alphabet may use the "alphabet song". Later, children also learn the Hundred Family Surnames, a rhyming poem in lines of eight characters composed in the early Song dynasty (i.e. in about the 11th century) which actually listed more than four hundred of the common surnames in ancient China. From around the 13th century until the latter part of the 19th century, the Three Character Classic, which is an embodiment of Confucian thought suitable for teaching to young children, served as a child's first formal education at home. The text is written in triplets of characters for easy memorization. With illiteracy common for most people at the time, the oral tradition of reciting the classic ensured its popularity and survival through the centuries. With the short and simple text arranged in three-character verses, children learned many common characters, grammar structures, elements of Chinese history and the basis of Confucian morality. After learning Chinese characters, students wishing to ascend in the social hierarchy needed to study the Chinese classic texts. The early Chinese state depended upon literate, educated officials for operation of the empire. In 605 AD, during the Sui dynasty, for the first time, an examination system was explicitly instituted for a category of local talents. The merit-based imperial examination system for evaluating and selecting officials gave rise to schools that taught the Chinese classic texts and continued in use for 1,300 years, until the end the Qing dynasty, being abolished in 1911 in favour of Western education methods. The core of the curriculum for the imperial civil service examinations from the mid-12th century onwards was the Four Books, representing a foundational introduction to Confucianism. Theoretically, any male adult in China, regardless of his wealth or social status, could become a high-ranking government official by passing the imperial examination, although under some dynasties members of the merchant class were excluded. In reality, since the process of studying for the examination tended to be time-consuming and costly (if tutors were hired), most of the candidates came from the numerically small but relatively wealthy land-owning gentry. However, there are vast numbers of examples in Chinese history in which individuals moved from a low social status to political prominence through success in imperial examination. Under some dynasties the imperial examinations were abolished and official posts were simply sold, which increased corruption and reduced morale. In the period preceding 1040–1050 AD, prefectural schools had been neglected by the state and left to the devices of wealthy patrons who provided private finances. The chancellor of China at that time, Fan Zhongyan, issued an edict that would have used a combination of government funding and private financing to restore and rebuild all prefectural schools that had fallen into disuse and abandoned. He also attempted to restore all county-level schools in the same manner, but did not designate where funds for the effort would be formally acquired and the decree was not taken seriously until a later period. Fan's trend of government funding for education set in motion the movement of public schools that eclipsed private academies, which would not be officially reversed until the mid-13th century. The first millennium and the few centuries preceding it saw the flourishing of higher education at Nalanda, Takshashila University, Ujjain, & Vikramshila Universities. Amongst the subjects taught were Art, Architecture, Painting, Logic, mathematics, Grammar, Philosophy, Astronomy, Literature, Buddhism, Hinduism, Arthashastra (Economics & Politics), Law, and Medicine. Each university specialized in a particular field of study. Takshila specialized in the study of medicine, while Ujjain laid emphasis on astronomy. Nalanda, being the biggest centre, handled all branches of knowledge, and housed up to 10,000 students at its peak. Vikramashila Mahavihara, another important center of Buddhist learning in India, was established by King Dharmapala (783 to 820) in response to a supposed decline in the quality of scholarship at Nālandā. Indigenous education was widespread in India in the 18th century, with a school for every temple, mosque or village in most regions of the country. The subjects taught included Reading, Writing, Arithmetic, Theology, Law, Astronomy, Metaphysics, Ethics, Medical Science and Religion. The schools were attended by students representative of all classes of society. The history of education in Japan dates back at least to the 6th century, when Chinese learning was introduced at the Yamato court. Foreign civilizations have often provided new ideas for the development of Japan's own culture. Chinese teachings and ideas flowed into Japan from the sixth to the 9th century. Along with the introduction of Buddhism came the Chinese system of writing and its literary tradition, and Confucianism. By the 9th century, Heian-kyo (today's Kyoto), the imperial capital, had five institutions of higher learning, and during the remainder of the Heian period, other schools were established by the nobility and the imperial court. During the medieval period (1185–1600), Zen Buddhist monasteries were especially important centers of learning, and the Ashikaga School, Ashikaga Gakko, flourished in the 15th century as a center of higher learning. Until the age of fourteen, the education of children was in the hands of their parents, but supervised by the authorities of their calpōlli. Part of this education involved learning a collection of sayings, called huēhuetlàtolli ("sayings of the old"), that embodied the Aztecs' ideals. Judged by their language, most of the huēhuetlàtolli seemed to have evolved over several centuries, predating the Aztecs and most likely adopted from other Nahua cultures. Inca education during the time of the Inca Empire in the 15th and 16th centuries was divided into two principal spheres: education for the upper classes and education for the general population. The royal classes and a few specially chosen individuals from the provinces of the Empire were formally educated by the Amautas (wise men), while the general population learned knowledge and skills from their immediate forebears. The Amautas constituted a special class of wise men similar to the bards of Great Britain. They included illustrious philosophers, poets, and priests who kept the oral histories of the Incas alive by imparting the knowledge of their culture, history, customs and traditions throughout the kingdom. Considered the most highly educated and respected men in the Empire, the Amautas were largely entrusted with educating those of royal blood, as well as other young members of conquered cultures specially chosen to administer the regions. Thus, education throughout the territories of the Incas was socially discriminatory, most people not receiving the formal education that royalty received. Primary School in "open air". Teacher with class, from the outskirts of Bucharest, around 1842. Modern systems of education in Europe derive their origins from the schools of the High Middle Ages. Most schools during this era were founded upon religious principles with the primary purpose of training the clergy. Many of the earliest universities, such as the University of Paris founded in 1160, had a Christian basis. In addition to this, a number of secular universities existed, such as the University of Bologna, founded in 1088. Free education for the poor was officially mandated by the Church in 1179 when it decreed that every cathedral must assign a master to teach boys too poor to pay the regular fee; parishes and monasteries also established free schools teaching at least basic literary skills. With few exceptions, priests and brothers taught locally, and their salaries were frequently subsidized by towns. Private, independent schools reappeared in medieval Europe during this time, but they, too, were religious in nature and mission. The curriculum was usually based around the trivium and to a lesser extent quadrivium (the seven Artes Liberales or Liberal arts) and was conducted in Latin, the lingua franca of educated Western Europe throughout the Middle Ages and Renaissance. In northern Europe this clerical education was largely superseded by forms of elementary schooling following the Reformation. In Scotland, for instance, the national Church of Scotland set out a programme for spiritual reform in January 1561 setting the principle of a school teacher for every parish church and free education for the poor. This was provided for by an Act of the Parliament of Scotland, passed in 1633, which introduced a tax to pay for this programme. Although few countries of the period had such extensive systems of education, the period between the 16th and 18th centuries saw education become significantly more widespread. Herbart developed a system of pedagogy widely used in German-speaking areas. Mass compulsory schooling started in Prussia c1800 to "produce more soldiers and more obedient citizens"
In Central Europe, the 17th century scientist and educator John Amos Comenius promulgated a reformed system of universal education that was widely used in Europe. Its growth resulted in increased government interest in education. In the 1760s, for instance, Ivan Betskoy was appointed by the Russian Tsarina, Catherine II, as educational advisor. He proposed to educate young Russians of both sexes in state boarding schools, aimed at creating "a new race of men". Betskoy set forth a number of arguments for general education of children rather than specialized one: "in regenerating our subjects by an education founded on these principles, we will create... new citizens." Some of his ideas were implemented in the Smolny Institute that he established for noble girls in Saint Petersburg. Poland established in 1773 of a Commission of National Education (Polish: Komisja Edukacji Narodowej, Lithuanian: Nacionaline Edukacine Komisija). The commission functioned as the first government Ministry of Education in a European country. King's College London in 1831, as engraved by J. C. Carter. It is one of the founding institutions of University of London, established in 1836. By the 18th century, universities published academic journals; by the 19th century, the German and the French university models were established. The French established the Ecole Polytechnique in 1794 by the mathematician Gaspard Monge during the French Revolution, and it became a military academy under Napoleon I in 1804. The German university — the Humboldtian model — established by Wilhelm von Humboldt was based upon Friedrich Schleiermacher’s liberal ideas about the importance of seminars, and laboratories. In the 19th and 20th centuries, the universities concentrated upon science, and served an upper class clientele. Science, mathematics, theology, philosophy, and ancient history comprised the typical curriculum. Increasing academic interest in education led to analysis of teaching methods and in the 1770s the establishment of the first chair of pedagogy at the University of Halle in Germany. Contributions to the study of education elsewhere in Europe included the work of Johann Heinrich Pestalozzi in Switzerland and Joseph Lancaster in Britain. In 1884, a groundbreaking education conference was held in London at the International Health Exhibition, attracting specialists from all over Europe. In the late 19th century, most of West, Central, and parts of East Europe began to provide elementary education in reading, writing, and arithmetic, partly because politicians believed that education was needed for orderly political behavior. As more people became literate, they realized that most secondary education was only open to those who could afford it. Having created primary education, the major nations had to give further attention to secondary education by the time of World War I. In the 20th century, new directions in education included, in Italy, Maria Montessori's Montessori schools; and in Germany, Rudolf Steiner's development of Waldorf education. In the Ancien Régime before 1789, educational facilities and aspirations were becoming increasingly institutionalized primarily in order to supply the church and state with the functionaries to serve as their future administrators. France had many small local schools where working-class children — both boys and girls — learned to read, the better to know, love and serve God. The sons and daughters of the noble and bourgeois elites, however, were given quite distinct educations: boys were sent to upper school, perhaps a university, while their sisters perhaps were sent for finishing at a convent. The Enlightenment challenged this old ideal, but no real alternative presented itself for female education. Only through education at home were knowledgeable women formed, usually to the sole end of dazzling their salons. The modern era of French education begins in the 1790s. The Revolution in the 1790s abolished the traditional universities  Napoleon sought to replace them with new institutions, the Polytechnique, focused on technology. The elementary schools received little attention until 1830, when France copied the Prussian system. Jules Ferry, an anti-clerical politician holding the office of Minister of Public Instruction in the 1880s, created the modern Republican school (l'école républicaine) by requiring all children under the age of 15—boys and girls—to attend. see Jules Ferry laws Schools were free of charge and secular (laïque). The goal was to break the hold of the Catholic Church and monarchism on young people. Catholic schools were still tolerated but in the early 20th century the religious orders sponsoring them were shut down. In 1818, John Pounds set up a school and began teaching poor children reading, writing, and mathematics without charging fees. In 1820, Samuel Wilderspin opened the first infant school in Spitalfield. In August 1833, Parliament voted to sum money to support poor children's school fees in England and Wales. In 1837, the Whig former Lord Chancellor Henry Brougham presented a bill for public education. Japan isolated itself from the rest of the world in the year 1600 under the Tokugawa regime (1600–1867). In 1600 very few common people were literate. By the period's end, learning had become widespread. Tokugawa education left a valuable legacy: an increasingly literate populace, a meritocratic ideology, and an emphasis on discipline and competent performance. Traditional Samurai curricula for elites stressed morality and the martial arts. Confucian classics were memorized, and reading and recitation of them were common methods of study. Arithmetic and calligraphy were also studied. Education of commoners was generally practically oriented, providing basic 3-Rs, calligraphy and use of the abacus. Much of this education was conducted in so-called temple schools (terakoya), derived from earlier Buddhist schools. These schools were no longer religious institutions, nor were they, by 1867, predominantly located in temples. By the end of the Tokugawa period, there were more than 11,000 such schools, attended by 750,000 students. Teaching techniques included reading from various textbooks, memorizing, abacus, and repeatedly copying Chinese characters and Japanese script. By the 1860s, 40-50% of Japanese boys, and 15% of the girls, had some schooling outside the home. These rates were comparable to major European nations at the time (apart from Germany, which had compulsory schooling). Under subsequent Meiji leadership, this foundation would facilitate Japan's rapid transition from feudal society to modern nation which paid very close attention to Western science, technology and educational methods. After 1868 reformers set Japan on a rapid course of modernization, with a public education system like that of Western Europe. Missions like the Iwakura mission were sent abroad to study the education systems of leading Western countries. They returned with the ideas of decentralization, local school boards, and teacher autonomy. Elementary school enrollments climbed from about 40 or 50 percent of the school-age population in the 1870s to more than 90 percent by 1900, despite strong public protest, especially against school fees. After 1870 school textbooks based on Confucianism were replaced by westernized texts. However, by the 1890s, a reaction set in and a more authoritarian approach was imposed. Traditional Confucian and Shinto precepts were again stressed, especially those concerning the hierarchical nature of human relations, service to the new state, the pursuit of learning, and morality. These ideals, embodied in the 1890 Imperial Rescript on Education, along with highly centralized government control over education, largely guided Japanese education until 1945, when they were massively repudiated. Education was widespread for elite young men in the 18th century, with schools in most regions of the country. The subjects taught included Reading, Writing, Arithmetic, Theology, Law, Astronomy, Metaphysics, Ethics, Medical Science and Religion. The current system of education, with its western style and content, was introduced and founded by the British during the British Raj, following recommendations by Lord Macaulay, who advocated for the teaching of English in schools and the formation of a class of Anglicized Indian interpreters. Traditional structures were not recognized by the British government and have been on the decline since. Public education expenditures in the late 19th and early 20th centuries varied dramatically across regions with the western and southern provinces spending three to four times as much as the eastern provinces. Much of the inter-regional differential was due to historical differences in land taxes, the major source of revenue. Lord Curzon, the Viceroy 1899–1905, made mass education a high priority after finding that no more than 20% of India's children attended school. His reforms centered on literacy training and on restructuring of the university systems. They stressed ungraded curricula, modern textbooks, and new examination systems. Curzon's plans for technical education laid the foundations which were acted upon by later governments. Organized education in Norway dates as far back as medieval times. Shortly after Norway became an archdiocese in 1152, cathedral schools were constructed to educate priests in Trondheim, Oslo, Bergen and Hamar. In 1736 training in reading was made compulsory for all children, but was not effective until some years later. In 1827, Norway introduced the folkeskole, a primary school which became mandatory for 7 years in 1889 and 9 years in 1969. In the 1970s and 1980s, the folkeskole was abolished, and the grunnskole was introduced. In 1997, Norway established a new curriculum for elementary schools and middle schools. The plan is based on ideological nationalism, child-orientation, and community-orientation along with the effort to publish new ways of teaching. In Canada, education became a contentious issue after Confederation in 1867, especially regarding the status of French schools outside Quebec. Education in New Zealand began with provision made by the provincial government, the missionary Christian churches and private education. The first act of parliament for education was passed in 1877, and sought to establish a standard for primary education. It was compulsory for children to attend school from the age of 6 until the age of 16 years. In Australia, compulsory education was enacted in the 1870s, and it was difficult to enforce. People found it hard to afford for school fees. Moreover, teachers felt that they did not get a high salary for what they did. Mental Calculations. In the school of SRachinsky by Nikolay Bogdanov-Belsky. 1895. In Imperial Russia, according to the 1897 census, literate people made up 28 percent of the population. There was a strong network of universities for the upper class, but weaker provisions for everyone else. Vladimir Lenin, in 1919 proclaimed the major aim of the Soviet government was the abolition of illiteracy. A system of universal compulsory education was established. Millions of illiterate adults were enrolled in special literacy schools. Youth groups (Komsomol members and Young Pioneer) were utilized to teach. In 1926, the literacy rate was 56.6 percent of the population. By 1937, according to census data, the literacy rate was 86% for men and 65% for women, making a total literacy rate of 75%. An important aspect of the early campaign for literacy and education was the policy of "indigenization" (korenizatsiya). This policy, which lasted essentially from the mid-1920s to the late 1930s, promoted the development and use of non-Russian languages in the government, the media, and education. Intended to counter the historical practices of Russification, it had as another practical goal assuring native-language education as the quickest way to increase educational levels of future generations. A huge network of so-called "national schools" was established by the 1930s, and this network continued to grow in enrollments throughout the Soviet era. Language policy changed over time, perhaps marked first of all in the government's mandating in 1938 the teaching of Russian as a required subject of study in every non-Russian school, and then especially beginning in the latter 1950s a growing conversion of non-Russian schools to Russian as the main medium of instruction. Education in French controlled West Africa during the late 1800s and early 1900s was different from the nationally uniform compulsory education of France in the 1880s. "Adapted education" was organized in 1903 and used the French curriculum as a basis, replacing information relevant to France with "comparable information drawn from the African context." For example, French lessons of morality were coupled with many references to African history and local folklore. The French language was also taught as an integral part of adapted education. Africa has more than 40 million children. According to UNESCO's Regional overview on sub-Saharan Africa, in 2000 only 58% of children were enrolled in primary schools, the lowest enrollment rate of any region. The USAID Center reports as of 2005, forty percent of school-aged children in Africa do not attend primary school. Today, there is some form of compulsory education in most countries. Due to population growth and the proliferation of compulsory education, UNESCO has calculated that in the next 30 years more people will receive formal education than in all of human history thus far. Illiteracy and the percentage of populations without any schooling have decreased in the past several decades. For example, the percentage of population without any schooling decreased from 36% in 1960 to 25% in 2000. Among developing countries, illiteracy and percentages without schooling in 2000 stood at about half the 1970 figures. Among developed countries, figures about illiteracy rates differ widely. Often it is said that they decreased from 6% to 1%. Illiteracy rates in less economically developed countries (LEDCs) surpassed those of more economically developed countries (MEDCs) by a factor of 10 in 1970, and by a factor of about 20 in 2000. Illiteracy decreased greatly in LEDCs, and virtually disappeared in MEDCs. Percentages without any schooling showed similar patterns. Percentages of the population with no schooling varied greatly among LEDCs in 2000, from less than 10% to over 65%. MEDCs had much less variation, ranging from less than 2% to 17%. Since the mid-20th century, societies around the globe have undergone an accelerating pace of change in economy and technology. Its effects on the workplace, and thus on the demands on the educational system preparing students for the workforce, have been significant. Beginning in the 1980s, government, educators, and major employers issued a series of reports identifying key skills and implementation strategies to steer students and workers towards meeting the demands of the changing and increasingly digital workplace and society. 21st century skills are a series of higher-order skills, abilities, and learning dispositions that have been identified as being required for success in 21st century society and workplaces by educators, business leaders, academics, and governmental agencies. Many of these skills are also associated with deeper learning, including analytic reasoning, complex problem solving, and teamwork, compared to traditional knowledge-based academic skills. ^ Buckley, Patrica. Chinese civilization. New York. pp. 195–198. ^ "Ashurbanipal - king of Assyria". ^ Bar-Ilan, M. "Illiteracy in the Land of Israel in the First Centuries C.E." in S. Fishbane, S. Schoenfeld and A. Goldschlaeger (eds. ), "Essays in the Social Scientific Study of Judaism and Jewish Society", II, New York: Ktav, 1992, pp. 46-61. ^ Al-Hassani, S. T. S. (2011). 1001 inventions: Muslim heritage in our world. Foundation for Science, Technology and Civilisation Ltd.
^ "The Caste System (Koenraad Elst)". ^ Hartmut Scharfe (2002). Education in Ancient India. Brill Academic Publishers. ISBN 90-04-12556-6. When the men of Alexander the Great came to Taxila in India in the fourth century BC they found a university there the like of which had not been seen in Greece, a university which taught the three Vedas and the eighteen accomplishments and was still existing when the Chinese pilgrim Fa-Hsien went there about AD 400. ^ Foster, Philip; Purves, Alan: "Literacy and Society with particular reference to the non western world" in Handbook of Reading Research by Rebecca Barr, P. David Pearson, Michael L. Kamil, Peter Mosenthal 2002, Lawrence Erlbaum Associates, 2002; Originally published: New York : Longman, c1984-c1991; at page 30. ^ a b Michael Chiappetta, "Historiography and Roman Education," History of Education Journal 4, no. 4 (1953): 149-156. ^ H. V. Harris, Ancient literacy (Harvard University Press, 1989) 328. ^ Southern, R.W. (1982). Renaissance and Renewal in the Twelfth Century. Harvard University Press. pp. 114, 115. ^ Goffart, Walter. The Narrators of Barbarian History (A.D. 550-800): Jordanes, Gregory of Tours, Bede, and Paul the Deacon (Princeton University Press, 1988) pp. 238ff. ^ Joseph W. Koterski (2005). Medieval Education. Fordham U. Press. p. 83. ISBN 978-0-8232-2425-8. ^ "Oldest higher-learning institution, oldest university". ^ "Les manuscrits trouvés à Tombouctou". 1 August 2004. ^ "Reclaiming the Ancient Manuscripts of Timbuktu". ^ Norman, Jerry (2005). "Chinese Writing: Transitions and Transformations". Retrieved 2006-12-11. ^ a b c d Yuan, Zheng. "Local Government Schools in Sung China: A Reassessment", History of Education Quarterly (Volume 34, Number 2; Summer 1994): 193–213; at pages 196-201. ^ Suresh Kant Sharma (2005). Encyclopaedia of Higher Education: Historical survey-pre-independence period. Mittal Publications. pp. 4ff. ISBN 978-81-8324-013-0. ^ Radhakumud Mookerji (1990). Ancient Indian Education: Brahmanical and Buddhist. Motilal Banarsidass. p. 587ff. ISBN 978-81-208-0423-4. ^ Pankaj Goyal, "Education in Pre-British India"
^ Orme, Nicholas (2006). Medieval Schools. New Haven & London: Yale University Press. ^ David L. Ransel, "Ivan Betskoi and the Institutionalization of the Enlightenment in Russia." Canadian-American Slavic Studies 14.3 (1980): 327-338. ^ Danuta M. Gorecki,"The Commission of National Education and Civic Revival through Books in Eighteenth-Century Poland." Journal of Library History 15.2 (1980): 138-166. ^ Carline, R. (1968). Draw they must: A history of the teaching and examining of art. London: Edward Arnold, p.30. ^ Donald Kagan, Steven Ozment, Frank M Turner (2007). Western Heritage: Since 1300 (AP Edition). Pearson Education, Inc.. ISBN 0-13-173292-7. ^ Lougee, Carolyn C. (1974). "Noblesse, Domesticity, and Social Reform: The Education of Girls by Fenelon and Saint-Cyr". History of Education Quarterly. 14 (1): 87–114. doi:10.2307/367607. JSTOR 367607. ^ Howard Clive Barnard, Education and the French revolution (1969). ^ Margaret Bradley, "Scientific Education for a New Society The Ecole Polytechnique 1795–1830." History of Education (1976) 5#1 (1976) pp: 11-24. ^ Kay Chadwick, "Education in secular France:(re) defining laïcité." Modern & Contemporary France (1997) 5#1 pp: 47-59. ^ Barnett B. Singer, "Jules Ferry and the laic revolution in French primary education." Paedagogica Historica (1975) 15#2 pp: 406-425. ^ "Minute on Education (1835) by Thomas Babington Macaulay". www.columbia.edu. Retrieved 2016-05-03. ^ Christian, Beck. "EDUCATION OTHERWISE AND HOME EDUCATION IN NORWAY". ^ "Leaving school before the age of 16". Education.govt.nz. 24 May 2017. Retrieved 1 December 2017. ^ McCreadie, Marion. "The Evolution of Education in Australia". IFHAA Australian Schools. ^ Fitzpatrick, S. (1994). Stalin's peasants: resistance and survival in the Russian village after collectivization. New York: Oxford University Press. pp. 225-6 & fn. 78 p. 363. OCLC 28293091. ^ Conklin, Alice L. (1998-01-01). "Colonialism and Human Rights, A Contradiction in Terms? The Case of France and West Africa, 1895-1914". The American Historical Review. 103 (2): 419–442. doi:10.2307/2649774. JSTOR 2649774. ^ Robinson, K.: Schools Kill Creativity. TED Talks, 2006, Monterey, CA, USA. Dharampal. (1983). The beautiful tree: Indigenous Indian education in the eighteenth century. New Delhi: Biblia Impex. Swarup, Ram (1971). The Hindu view of education. New Delhi. Aditya Prakashan. Bowen, James. A History of Western Education: Vol 3: The Modern West, Europe and the New World (2003). Soysal, Yasemin Nuhoglu; Strang, David (1989). "Construction of the First Mass Education Systems in Nineteenth-Century Europe". Sociology of Education. 62 (4): 277–88. doi:10.2307/2112831. JSTOR 2112831. Sorin-Avram, Virtop (2015). "Romanian Contemporary Approaches to the Continuous Training of History and Geography Teachers". Procedia - Social and Behavioral Sciences. 197: 1774–81. doi:10.1016/j.sbspro.2015.07.235. James Sullivan (1920). "Education, History of" . Encyclopedia Americana.